At Ceramic & Stone Solutions we provide the best solution and the highest quality installation available. We specialize in custom interior & exterior tile, stone, & glass installation. NTCA (National Tile Contractors Association) & Certified Tile Installers, we provide the best practices and materials for every creation. Owned and operated by Rob Melquist Jr., CTEF (Ceramic Tile Education Foundation) Certified Tile Installer. We combine quality workmanship and superior knowledge with a service that is unmatched by our competitors. CTEF Certified Tile Installers are the only Tile installers recognized by the Tile Council of North America and the National Tile Contractors Association as having proven their skills & knowledge through standardized hands on testing. What sets us apart is our extremely high standards. 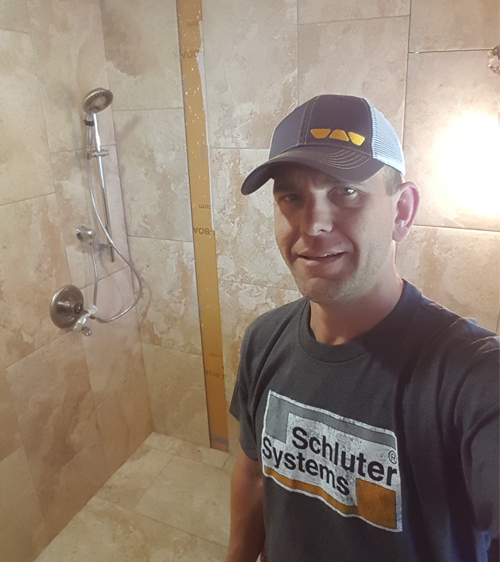 Rob Melquist is continually raising the bar for superior quality installations in the Tile industry. As a member of NTCA (National Tile Contractors Association) and a Certified Tile Installer we only provide the best practices and materials suited for each individual creation. Here at Ceramic & Stone Solutions our goal is to provide you the best solution and the highest quality installation available.